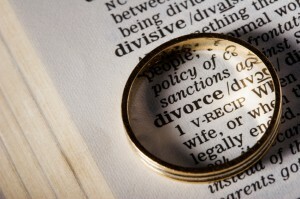 Divorce in Thailand may be done judicially or administratively. If judicial, one or both parties come to court to petition for the termination of their marriage on the basis of at least one legal ground for divorce. There are instances when having a ground for divorce or reaching an agreement to divorce is not enough. Oftentimes, reaching a settlement on the division of marital property and the sharing of child custody makes a divorce more difficult than it already is. It also happens that despite a verbal agreement between the parties on money and custody issues, uncertainty on its execution create an anxiety on the couple. In such cases, having a Divorce Agreement is the solution. The Divorce Agreement outlines the parties’ covenant on the division of common property, the paying of spousal support and the provision for child custody and support. It is not a mere scrap of paper but a physical reflection of what the future holds for the parties and their children after the divorce is finalized. Additionally, should any of the terms be violated by either or both parties, each of them can have resort to the courts for the Agreement’s enforcement.